Lovely suit jacket from Y.A.S. 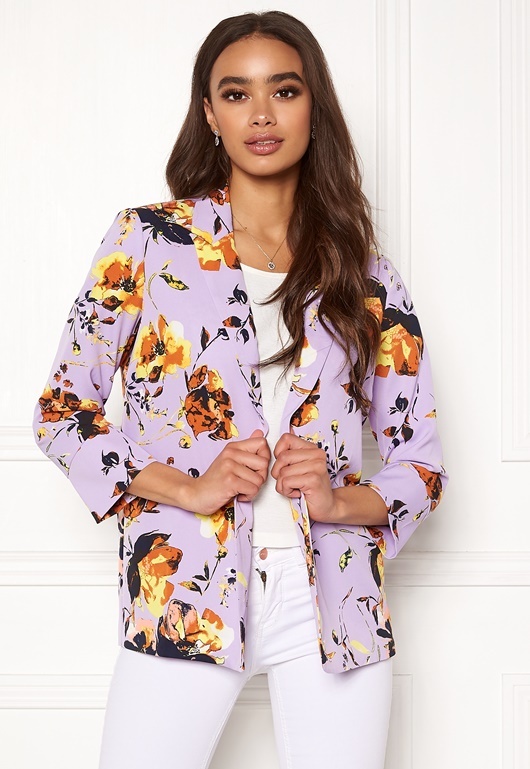 The suit jacket is a relaxed fit and has a lovely floral print, perfect for parties and everyday wear. - Nonstretch , woven quality - Tie waist (detachable) - Two front pockets - Lined - Padded shoulders Back length from shoulder 68 cm in size S. The model is 175 cm and wears a size S. Machine wash at 30 degrees (delicates). Can be worn as a set together with the Clara MW Cropped Pants.